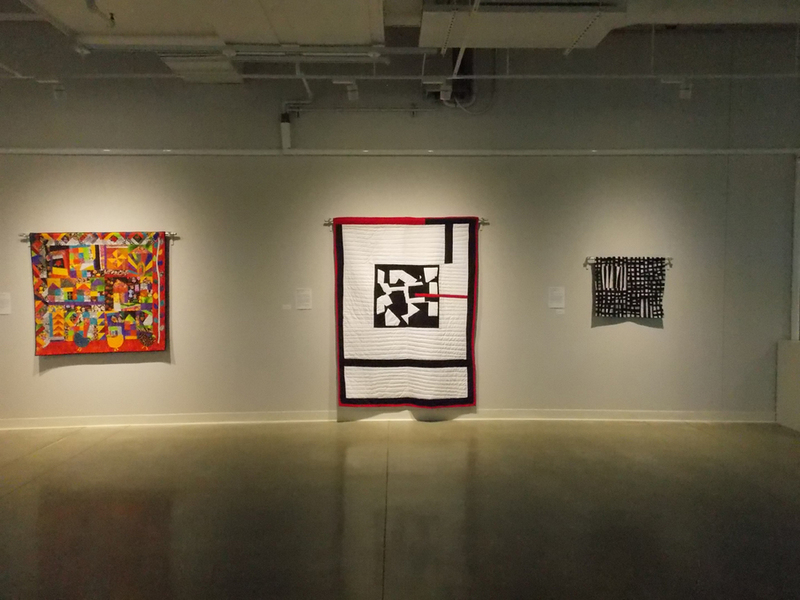 “THE SUM OF MANY PARTS: QUILTmAKERS IN CONTEMPORARY AMERiCA"
Apron Strings: Ties to the Past reviews the apron’s role as an emotionally charged vehicle for expression with a rich and varied craft history that is still viable today. 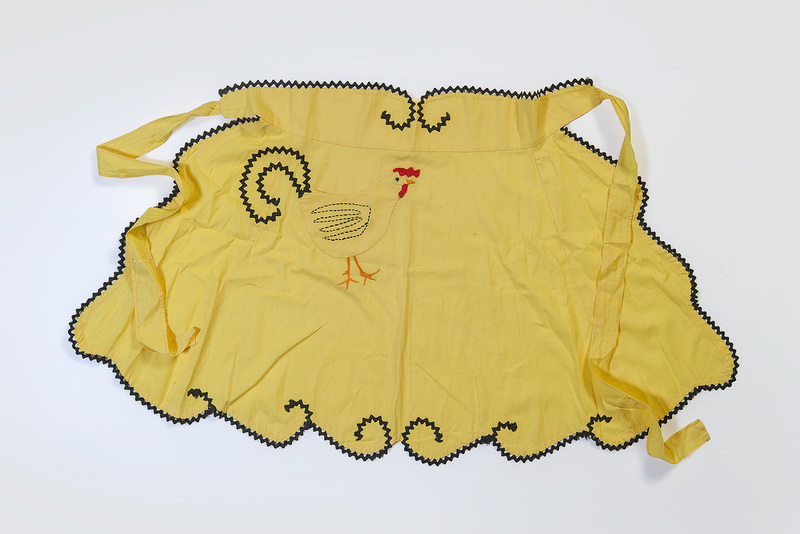 Rooster, 1940s, cloth, 21 1/2 x 38, private collection. Photo: E.G. Schempf. Installation Image of Apron Strings. Photo: E.G. Schempf. The old master, 1950s, cloth, 31 1/2 x 31, private collection. Photo: E.G. Schempf. The Sum of Many Parts: Quiltmakers in Contemporary America presents how the techniques of piecing, patching, and appliquéing fabrics have been known to exist for centuries in different locales and cultures. Quiltmaking is considered by many to be the quintessential American folk art.